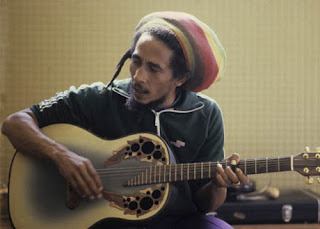 This week, we figured that it was time to talk about one of the biggest icons of a single music genre and they don't get any bigger than late reggae artist Bob Marley. We played a retrospective mix (focused on his last two albums and singles), a bootleg of "Could You Be Loved" recorded in 1980 at Rockpalast and the unlikely posthumous collaboration, on "Roots, Rock, Reggae," with Steven Tyler and Joe Perry. Fun episode where we also previewed a sample from Cinderella's upcoming live album. Noticing some vocal audio issues during the show and hope to rectify it. Might try to route the microphone differently next week.